There are few names in the world of baseball that are mentioned in the same breath as American legend, Barry Bonds. 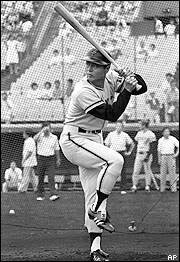 It is safe to say that Sadaharu Oh is certainly one of them. The Japanese-Taiwanese sensation was born on May 20, 1940 in Tokyo and began his professional career in baseball with the Yomiuri Giants in the year 1959 as a pitcher. The Giants immediately noticed his batting talents, converting him to first base. Oh spent the next three years learning from coach Hiroshi Arakawa, before truly exploding in the 1962 season. As a five time batting champion, Oh showed remarkable consistency at the highest level of the game, winning the league's Most Valuable Player award nine times over his 22-year-career. 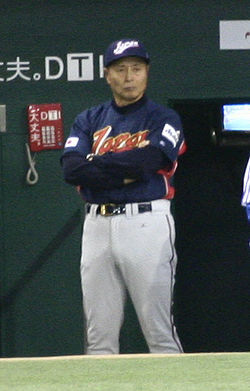 After spending his entire career with the Giants, Oh also took up the managerial position between the years of 1984 and 1988. Currently Oh holds the world career home run record of a phenomenal 868 home runs. When Oh finally retired from baseball, he had a remarkable batting average of .301 and many legends of the game have commented that his career record is not likely to be broken any time soon. While his achievements on the pitch cannot be overstated, less is known about the giant contributions and efforts Oh has made in giving back to the community. Oh met fellow baseball legend Hank Aaron when the two were selected to film for a series of commercials. The duo immediately clicked, realizing that baseball was not the only passion they shared. Their meeting was to be the first step towards the creation of the World's Children Baseball Fair. Oh and Aaron acknowledged that there was a growing need to provide underprivileged children with a platform of organized sport. The World Children's Baseball Fair was developed, as a non-profit organization in the year 1989 and continues to be one of the most respected charity organizations in the world. The organization was set up as a means by which children across the world could initiate a cultural exchange through the language of baseball, which became an Olympic Sport in the year 1992. The organization's philosophy is premised on the integration of key principles of teamwork, sound health and friendship, and currently holds member countries from across five different continents. The organization has held a number of events over the course of its lifespan, with its inaugural event being labeled, 'The Summer Week Event, held in Los Angeles. Supporters and proponents are in abundance, and include the likes of figures such as Joe DiMaggio, Reggie Jackson, Peter O' Malley, Tommy Lasords and Tim Brosnan, among a host of others. The Annual Summer Week Event involves children between the ages of 10 and 11 taking part in a series of programs and baseball clinics organized by the International Baseball Federation, aimed towards initiating international understanding and engagement. At these clinics, friendship and teamwork is most important, with competition taking a backseat. The organization has and continues to experience enormous success and worldwide recognition.